Saranagati is one of Bhaktivinoda Thakura’s popular writings. “Saranagati” means “process of surrender.” The overall mood of the Saranagati is in the mode of humility. Unlike Gitavali where it is was mostly glorifying the Lord and His many forms, Saranagati is primarily in the mode complete surrender. 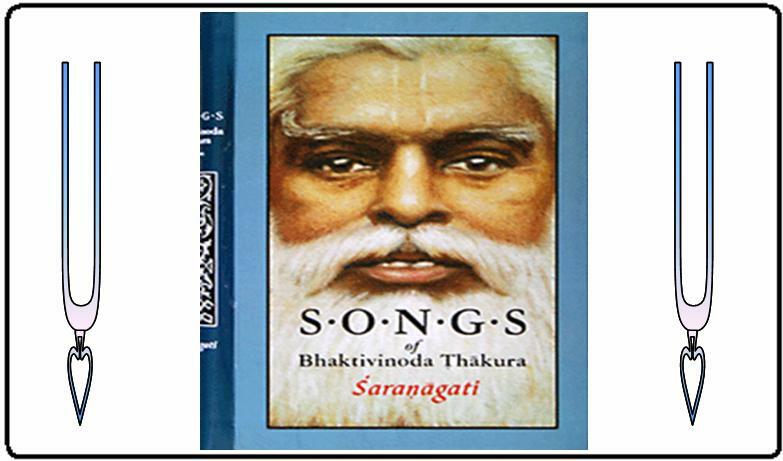 In the first song of the Saranagati, Bhaktivinoda Thakura explains the main contents of the text. The main contents of the text are the six steps in order to have the perfect surrendering to the lotus feet of the Lord. The six steps are Dainya (humility in Section 2), Atma Nivedana (dedication of the self in Section 3), Goptritve Varana (accepting the Lord as one’s only master in Section 4), Avasya Raksibe Krsna Visvasa Palana (faith that Lord Krsna as the sure protector in Section 5), Bhakti Anukula Matra Karyera Svikara (accepting favorable habits and practices towards devotional service in Section 6), and Bhakti Pratikula Bhava Varjanangikara (rejecting unfavorable habits and practices towards devotional service in Section 7). After these sections, Bhajana Lalasa sings of the hankering of devotional service. Siddhi Lalasa is a small section of Bhaktivinoda Thakura’s Gitamala. The last two songs is a prayer request to the Lord and glorification of the Lord’s name.